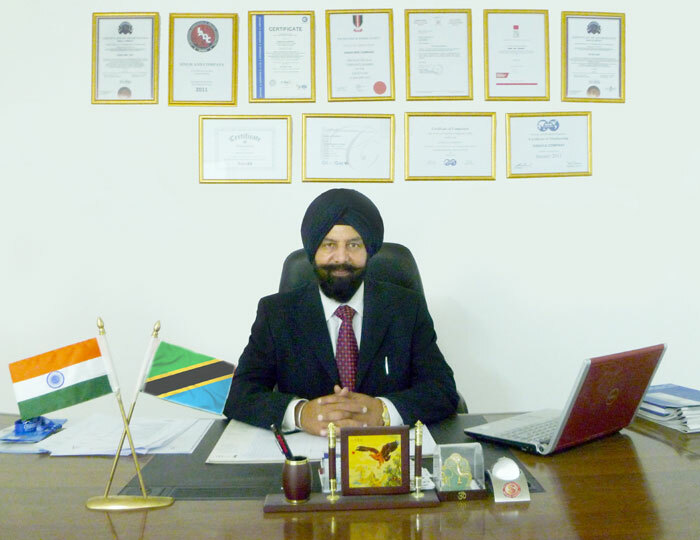 Singh & Co. over a period of more than a decade, has strived hard to establish itself as a renounced Engineering company, having a wide range of Manufacturing, Fabrication and Machining activities. It includes consultation, design, manufacture, commissioning of all kind of oil & Gas components / machineries. The company's entrust on Customer Care and Continuous Improvement has rewarded it with the most credible companies in Oman. The company's new facility is equipped with the latest state-of-art CNC and high-end Machining and Fabrication Machineries to fulfill the ever-growing engineering demands of its trustworthy customers. Customer requirements are studied in detail and the job is carried out with the Value Addition concept at each state of the job. The customer satisfaction level of Singh & Co can be gauged by the fact that approximately 80% of our business is repetitive in nature. The company, under the guidance of its well-experienced management and competent work force, has successfully undertaken and commissioned many turn-key projects for some of the most renounced, internationally acclaimed, PDO customers in Oman. Many of our forward thinking customers want to make significantly better products than their competitors. They want to turn product innovation and superior process efficiency to their strategic competitive advantage. They envision product cycles in the order of months rather than years. And they have chosen Singh and Co. as a partner to empower such a strategic transformation. Sing and Co. is a successful, high added-value company. We have an unrivaled track record in developing and marketing technology breakthroughs that address the very real challenges that our customers face. We have grown from our roots as a high-tech spin-off from the Sultant of Oman to become a worldwide famous company for the engineering equipemnts and services industry. The Sultanat of Oman has become a true international example for the tremendous strides it has taken in its ongoing development. The growth witnessed is unprecedented in the region. We are a market leader in Oil and Gas exploration, agriculture products and tools, setting up new production plants. Over the last decade, we have also developed a great reputation for our commitment, zest and refine state of the art technology and servcies in the eingeering sector. We team with many of our customers in multi-year strategic transformation programs to help them adopt an integrated innovation approach involving people, systems, and processes. Most will agree that what makes us really special is our in-depth engineering knowledge, our process understanding, and our willingness to truly partner with our customers. Over the years, Sing and Co. has maintained a track record of profitable double-digit growth. We are confident that by understanding our customers’ challenges, anticipating their future needs, and responding with innovative solutions - we will continue to grow and lead our industry forward in empowering engineering innovation. Whether by facilitating join venture projects and consultancy agreements, or through providing expert services in various areas, we have always been a major contributor. With over 18 years of experience, we are prepared to enter our new era of operations in the region. As we perform our existing areas of operation, we extend our activities into new fields and territories. We look forward to yet another quarter century of fulfilling the ever-increasing needs of the public and private sectors in the Gulf region as well as other regions of the world.